Puerto Rico is a US Territory an the Caribbean. There are 3.4 million American citizens living there and yet two months later many homes are still without electricity, and still some without running water. Maria came thirteen days after Hurricane Irma, another category 5 hurricane, passed north of us. Irma devastated some of the neighboring islands, and left us without power for three days. People prepared well. Our house was covered with storm shutters, we had collected water and purchased bottled water, batteries and non-perishable food. Irma came on September 6th and 7th, and by September 10th, the kids were back in school. At the university we were back as well. All of the organizations that we belong to – the kids’ school, the university, the gymnastics club, the soccer club – arranged activities to send supplies to the islands of St Martin, Anguila and Barbuda. I donated different items to all of them. Like myself, many people donated things they had bought to prepare for Irma, and ended up not using. Although we had been hearing about Irma for a while, we were never in its direct path. The northern turn that was predicted happened later than expected and took it closer to us, but it still passed north of us. Around September 14th, we started hearing that there was a weather disturbance that was a threat to Puerto Rico. On Saturday September 16th, citizens were told that the storm, still a tropical depression, might pass over the island. My father called me and said that we all needed to prepare. At 5:00 p.m., tropical storm Maria had formed. On Sunday September 17th, I woke up before the rest of the family to buy more supplies, since we had donated much of what we had. The first stop was WalMart. Although it was only 8:15 a.m., they were already out of bottled water. I bought a few things and went to Sams Club. There was no bottled water there either, but I bought batteries for our flashlights. I went to Walgreens next: no water there either. At Ralph’s, a local grocery chain, I was able to buy one of the last five cases of water left. I went home and started washing clothes. By 5:00 p.m., Hurricane Maria had formed as a Category 1. On Monday September 18th, classes at the university were canceled. The kids were in school, so my husband and I went to work to wrap a few things up. I then went to renew my car insurance which was due on September 30th. I got a message from my sister-in-law telling me that Sams Club had water. I went, and was able to get two cases as per the family limit. I went to WalMart in search of tank tops, knowing it was going to be hot, and I found a small battery-operated radio that someone had left behind in a cart. This $12.50 contraption was to become our best friend. I filled up the tank – gas stations had started rationing, but my ration was enough to fill the tank. I finished my shopping at a grocery store a quarter of a mile from our house: I bought things like Vienna Sausage, Spam, canned pasta, chicken, and corn. Back home, I continued securing things around the house, washing everything including the bathroom rugs, and cleaned the house. I took my daughter to gymnastics practice and while there, the 8:00 p.m. news bulletin announced that Maria was now a Category 5 hurricane. My youngest brother called me and asked me for shelter, since he did not have storm shutters and has a three-year-old child. I welcomed them but asked them to bring pillows, blankets, towels, water and any food the baby might need. My husband got cash, and topped his car up as well. Tuesday September 19th. Almost ready. We finished cleaning the last corner of the house and washing all of the clothes. We made sure all of our devices were charged. In the end we had seven people (four adults, one teen, one tween, one toddler) and one dog. For this we had about 150 bottles of water, rice, whole and refried beans, juice, rice, pasta, flashlights and the batteries, canned meats, and veggies and snacks. We also had our 450 gallon water reservoir and whatever water we could collect in empty containers. The freezer had four bags of ice, about fifteen bottles of water and ten quart sized Ziploc bags full of water. This is a guest post for World Moms Network by Tania Malave. Photo credit to the author. World Moms Network is an award winning website whose mission statement is "Connecting mothers; empowering women around the globe." With over 70 contributors who write from over 30 countries, the site covered the topics of motherhood, culture, human rights and social good. 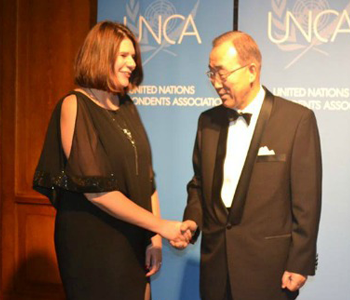 Most recently, our Senior Editor in India, Purnima Ramakrishnan was awarded "Best Reporting on the UN" form the UNCA. The site has also been named a "Top Website for Women" by FORBES Woman and recommended by the NY Times Motherlode and the Times of India. 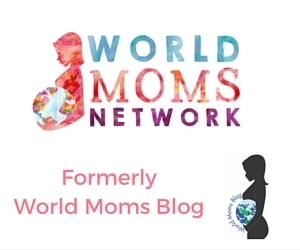 Follow our hashtags: #worldmom and #worldmoms Formerly, our site was known as World Moms Blog. My goodness, that’s terrifying! I hope you’re all well and that you are finally getting the Aid you need.